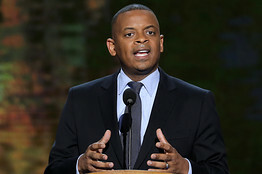 The IAM welcomes President Obama’s nomination of Charlotte Mayor Anthony Foxx as head of the U.S. Department of Transportation. As Mayor of North Carolina’s “Queen City,” Foxx succeeded in expanding and improving Charlotte’s transit infrastructure as a way to grow the economy. The investment, one of the largest in the city’s transportation history, continues to bring more jobs and opportunity to the area. The post requires Senate approval. If confirmed, Foxx will become the second African-American member in the president’s Cabinet.